I am the tutor who puts his money where his mouth is. I get in there and take the SAT and other tests. 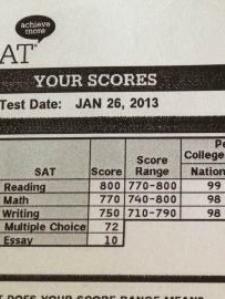 I took the January 2013 SAT and scored a 2320 (800 Reading, 770 Math, 750 Writing. I got my superscore up to a 2400 when I scored a 2350 on the March 2014 SAT (750 Reading, 800 Math, 800 Writing). Most recently, I scored a 2380 in June, 2015 (780 Reading, 800 Math, 800 Writing). In addition, I have a 35 ACT superscore 36 English, 35 Math, 36 Reading, 34 Science). Most recently, I scored a 35 in June, 2015 (36 English, 34 Math, 35 Reading, 34 Science). 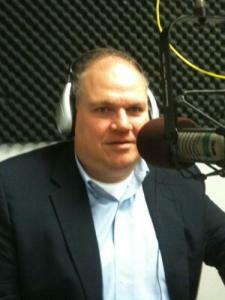 I have been tutoring SAT (all 3 sections), GMAT, and other tests for over 15 years. I have worked with all sorts of students all over the world. I got a 780 on my GMAT. I have a very fun personality that gets the most out of people. I make learning fun. I can also help with B-school applications and editing, as I have edited for the Bank of Japan for over a decade. I also do some writing and editing for Forbes. Contact me to discuss rates, and scheduling. Rate details: The rate quoted in my profile is flexible, and could vary based on travel and on hours booked in advance (or if you sign up with a friend for a group rate). I have been tutoring the GMAT (all sections) for 15 years. (I got a 780 myself, 97th percentile in verbal, 99th percentile in math, 99th percentile in writing). I can help you navigate tough questions. I can help you use the answer choices to your advantage. I can save you precious time on this time pressured test. I am patient and funny, but most importantly, I will boost your confidence, so you know you can conquer your GMAT fears. I have taken the Series 7 twice and passed both times very easily (scores in the high 80s). I am tutoring others in the series 7 now and am especially well versed in options (the biggest part of the test). Elementary math is my specialty. I work well with kids, teens and adults. I am also very funny, and make math as interesting as it is going to get. Please contact me so we can get you up to speed!! I have tutored over 100 ACT students in all subjects including English. ACT English is all about rules and pattern detection. I can help with this! I have tutored over 100 ACT students in all subjects including ACT reading. The approach taken in the ACT reading is completely different than the SAT reading approach. I have tutored more than 200 students in the SAT. About 99% have gone up in score. The new SAT is VERY different than the ACT or the old SAT. Fortunately, I have taken an actual SAT with actual high school kids in a real testing center. I got a 1550 (790 math, 760 reading/writing). I have tutored more than 200 students in the SAT. About 99% have gone up in score. The new SAT is VERY different than the ACT or the old SAT. Unlike on the old SAT, the writing section is now considered relevant! Fortunately, I have taken an actual SAT with actual high school kids in a real testing center. I got a 1550 (790 math, 760 reading/writing). I put my money where my mouth is, and by taking the test, I won't just be speculating when I tell your children how to prepare. I will be battle-tested and armed with excellent first-hand information. I have tutored more than 200 students in the ACT and SAT. About 99% have gone up in score. Some by over 400 points! I am funny and relate very well to children and teens. I make math, English usage, science and reading comprehension as fun as it's ever going to get. My pricing and scheduling are both flexible. Not only do I tutor the tests, I take them too! I have a 2400 Super score in the SAT for 2013-14 as an adult. I also have a 35 ACT Super score for 2013. I just got my May 2016 SAT scores back (the "new" SAT) and scored a 1550 out of 1600. I put my money where my mouth is, and by taking the test, I won't just be speculating when I tell your children how to prepare. I will be battle-tested and armed with excellent first-hand information. Please contact me for further info. I have tutored over 100 ACT students in all subjects including math. I am funny and relate very well to children and teens. With 60 questions to answer in 60 minutes, the ACT math test is a sprint. I work on speed and accuracy! I used to be a director of admissions counseling at the Princeton Review of Japan where I helped hundreds of students with college and grad school applications. I have professional editing and writing experience, as I have edited for the Bank of Japan for over a decade. I also do some writing and editing for Forbes. I have tutored over 100 ACT students in all subjects including science. The approach taken in the ACT science section will make all the difference between running out of time and finishing. I can help with the ISEE, as I have been tutoring kids and a variety of standardized tests for over 15 years. I am patient and personable. Most importantly, I will help your child's confidence as I make tough concepts very easy to understand and apply. What sets me apart? I actually get in there and take the tests! I took the January SAT this year and just got my score of 2320 (Reading 800, Math 770, Writing 750). By taking the test, I can tell your child what to expect when she or he actually gets in there! Other tutors charge up to $400, $500, even $600 an hour. But some of them teach old material that doesn't even apply today. They aren't taking the test like me. You can get me at a fraction of the cost complete with my modern test-day experience. My rate, schedule and travel are flexible. I scored in the high 90s (percentile) on the LSAT and I have tutored several students to similar heights.